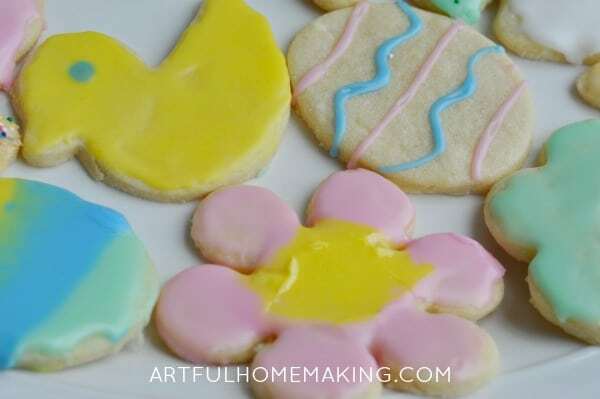 We have a tradition of making cut-out cookies at the beginning of each season. 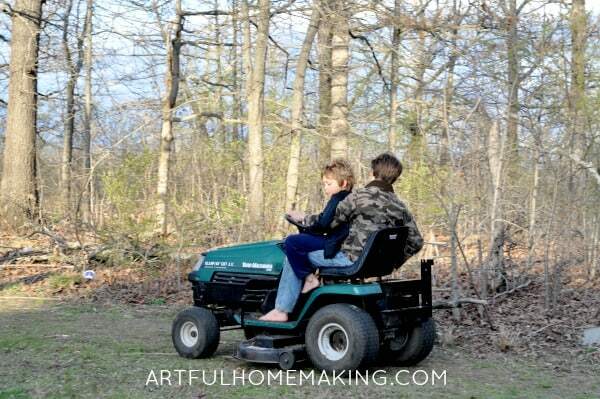 I started this when my children were young, and now my older girls always make sure it happens. 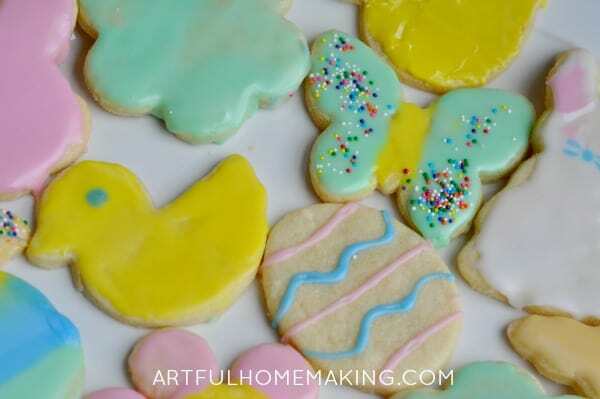 And, we used some natural food coloring for some of these this year! My husband found some packets of natural dye, and the yellow (which contains turmeric) worked wonderfully! I’ve tried using turmeric powder in frosting in the past, and you could faintly taste the turmeric flavor (which was not good in a dessert!). This dye had no flavor at all, so I was very happy with it! 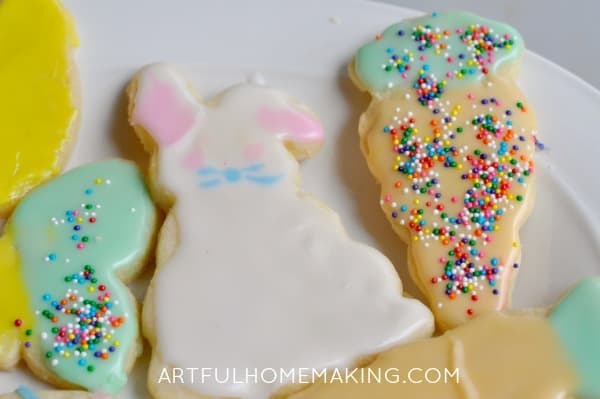 My daughter Abi is very creative in the kitchen, and she made an adorable rabbit cookie, which I thought was so cute! My youngest daughter has orthodontic appointments in a city 2 hours away. It’s crazy to drive that far, but this orthodontist specializes in her particular situation, so it’s kind of not optional. I was really not looking forward to going, and my husband pointed out that I should make the best of it rather than complaining about it (duh, why didn’t I think of that?!). So, I prayed about it, changed my attitude, and decided to make it a fun mother/daughter date. After the appointment, we had lunch at Panera and enjoyed the classical music playing and the peaceful atmosphere. Then we went to Kohl’s. They were having a sale, and I wanted to buy my daughter something just as a special treat, but I didn’t have much money in my purse. 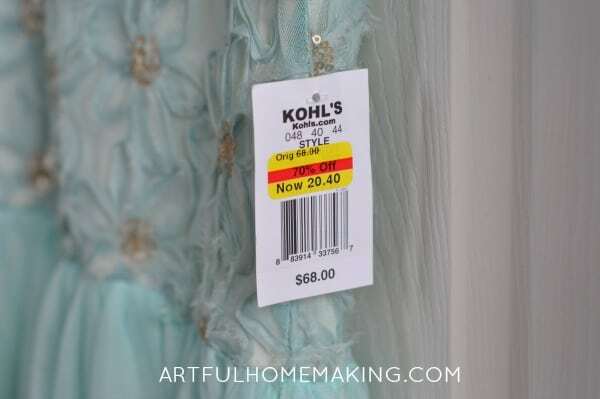 I saw this beautiful dress on the clearance rack, and really wanted to buy it for her. My kids are growing up so fast, and I wanted to buy my youngest daughter (who is 10) a special, girly dress just for her (since she often wears hand-me-downs). It was on clearance for 70% off, which made it $20.00. But that’s way more than I usually spend on kids’ clothes, especially since she doesn’t have a younger sister to pass it down to. I carried the dress around for awhile, feeling like I really shouldn’t spend $20 on a child’s dress which probably won’t get worn that many times. I prayed about it as we continued shopping. And then I decided I would go ahead and use my birthday money on it. My mom had given me some money for my birthday last month, and I could use that money for the dress. My daughter never once asked me to buy her anything, so when I told her I wanted to buy this dress for her (and asked her if she liked it), she threw her arms around me and thanked me profusely, saying how sweet I was. We got up to the checkout, and the clerk rang it up and then said, “That’ll be $7.00.” I couldn’t believe it! Apparently there was a sale on clearance items that I had missed. We were both so happy that this beautiful dress turned out to be such a great deal! I thanked the Lord over and over for this pleasant surprise. 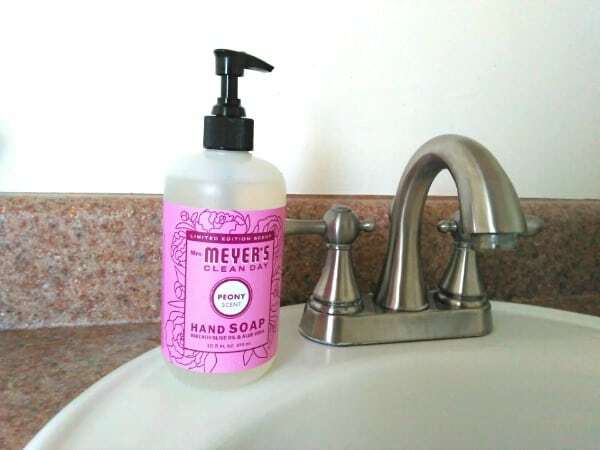 My limited edition Mrs. Meyer’s hand soap and dish soap came this week, and I love it! Our hand soap dispenser just happened to be empty, so after cleaning the bathroom I opened up this new peony soap. It smells so spring-y! There’s still time to get this free spring cleaning kit from Grove Collaborative! The free offer ends tomorrow (Sunday) afternoon. You can go here for more details or go here to order. And I also had to share this beautiful Mother’s Day gift set with you! I’m loving this, too. 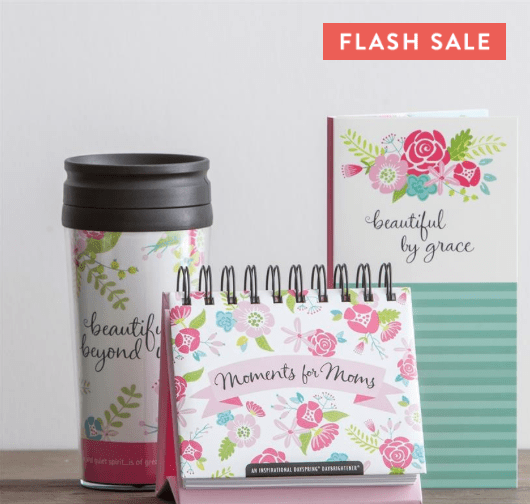 Through April 4, 2016, DaySpring has their Beautiful Beyond Words Gift Set on sale for only $10, while supplies last! This set is regularly priced at $28.97, and it includes the three items in the above photo. I love them all, especially the travel mug. It would be so cute to package this set with coffee or tea in a decorative basket! If your DaySpring order totals $60, use coupon code MISSYOU and you get an extra $20 off. Make sure you’re logged into your DaySpring account to get free shipping! And one last fun thing. I finally got on Instagram! I seem to be the last person to get involved with various social media things (I also just got on Twitter a few months ago!). I’m just getting started, but I’m hoping this will be a way to keep in touch on a more day-to-day basis. 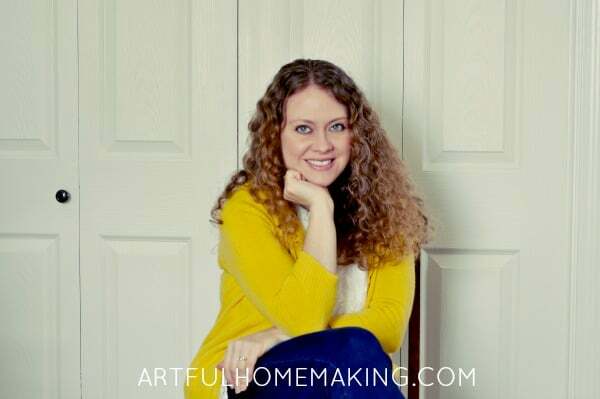 If you’re on Instagram, I’d love to see you there! Make Spring Cleaning Beautiful With a FREE Mrs. Meyer’s Cleaning Kit! Love the story about the dress – I've had similar blessings before, and am so grateful to be reminded that God cares about even the "small" things that bring us pleasure. Wow, I thought 2 hours was far! I'm counting the months until we don't have to drive there anymore, but trying to make the best of it for now. 🙂 Thanks for stopping by, Gwen! I understand! We feel the same way. We don't live on an island, but we live in a little town out in the middle of "nowhere," so we have to drive a lot. Blessings to you this week! I am sorry for all of the trials that you have been going through! We have had quite a few ourselves, and it does make a big difference to look for the blessings amongst them!